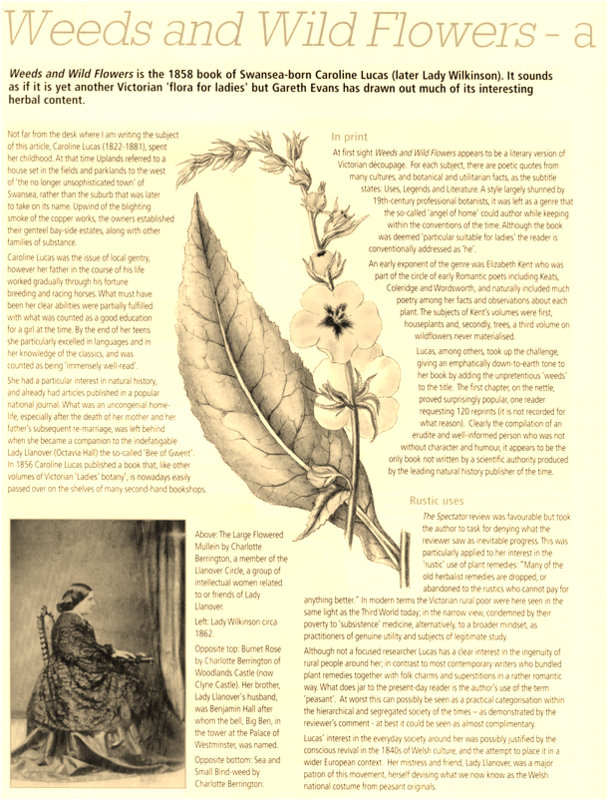 The image at the top of this page is the eye-catching ‘gilt’ edging of the subject of this article; Weeds and Wild Flowers by Lady Wilkinson (Caroline Lucas) 1858. The publishing house, Jan Van Voorst, was the leader of the British natural history market of the time, its authors being acknowledged authorities in their specialist fields. The production quality was high, making the resulting volumes as desirable, in their own way, as the Collins' New Naturalist series has been in more recent times. 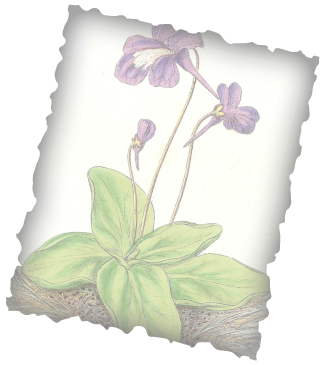 On publication Weeds and Wild Flowers was reviewed widely. An informal survey shows that it has found its place in the nation’s institutional libraries along with contemporaries such as Priscilla Wakefield and Anne Pratt. 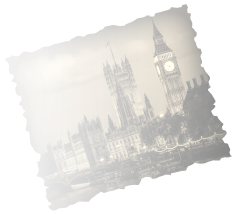 Caroline Lucas’ compilation is erudite, covering literature, language and general culture. 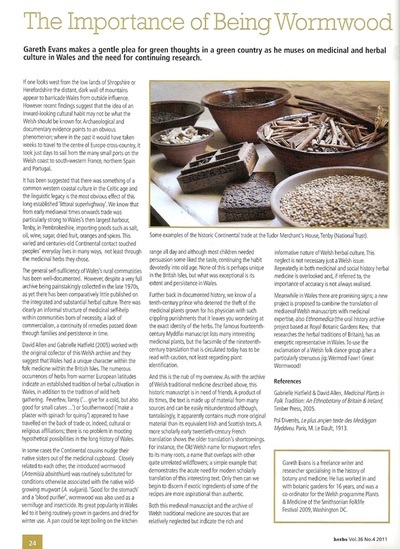 She casts a particularly sensible eye over Welsh ‘rustic medicine’, which is the main subject of this article; a generally under-researched area considering the widespread reliance on it in Wales's past. Herbs vol. 39 no. 4, 2014. - my 'skilful and indefatigable friends'. The article’s subtitle can equally refer to the circle of intellectual women around Lady Llanover as to the book’s compilation of poetry and fact . There are intriguing interconnections between Caroline Lucas and two members of the Llanover circle who made contributions to the book - Charlotte Berrington and Jane Williams (Ysgafell)*. In an attempt to clarify this web I have added here a ‘Weeds and Wild Flowers album’ constructed after a straightforward search of sources. * Misidentified as Jane Williams (Aberpergwm) in the text; another member of the Llanover circle. 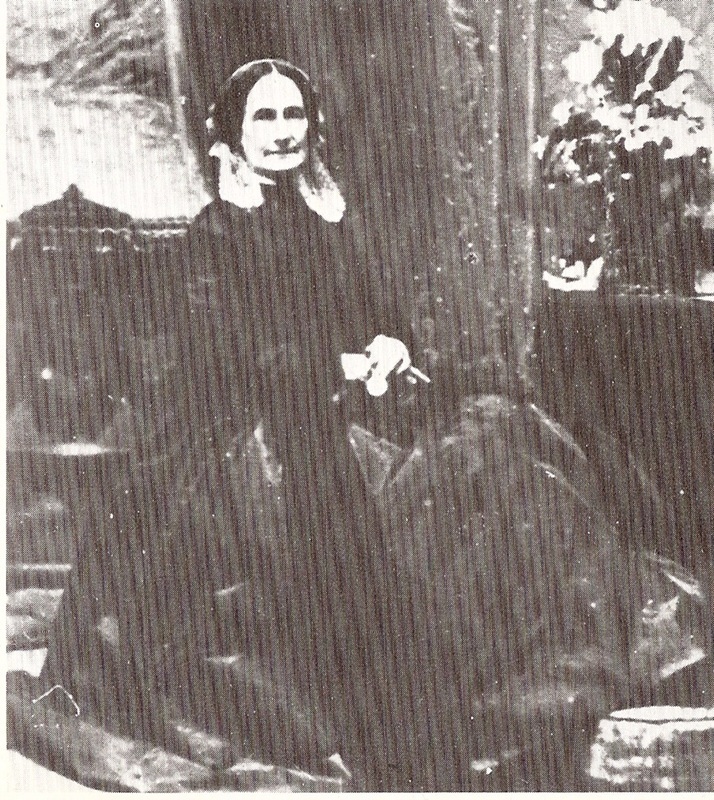 Lady Wilkinson (1822-1881) circa 1862. A 'much loved' companion to Lady Llanover, Caroline Lucas met Sir Gardner Wilkinson during his visits to Llanover Hall. In 1856 (when she was 34 and he 58) they married, she published Weeds and Wild Flowers as Lady Wilkinson two years later. 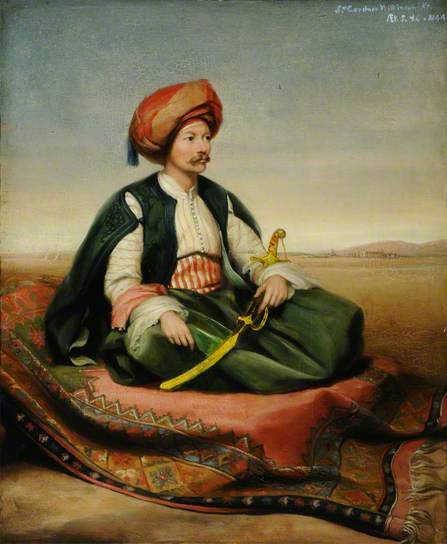 Sir John Gardner Wilkinson (1797–1875), Aged 46, in Turkish Dress, by Henry Wyndham Phillips. (Calke Abbey). Sir Gardner Wilkinson traveled to Egypt to study its ancient sites as a young man, remaining there for 12 years. His resulting book Manners and Customs of Ancient Egypt helped establish Egyptology in the UK and earned him a knighthood. 'Not a rich man' he and his wife eventually settled in a modest but ancient house on the Gower peninsula, Wales. Augusta Hall (née Waddington) , Lady Llanover (1802–1896) by Charles Augustus Momewicke, 1862. Lady Llanover: an active patron in a revival of Welsh culture (the 'Bee of Gwent') she encouraged both intellectuals and artists. 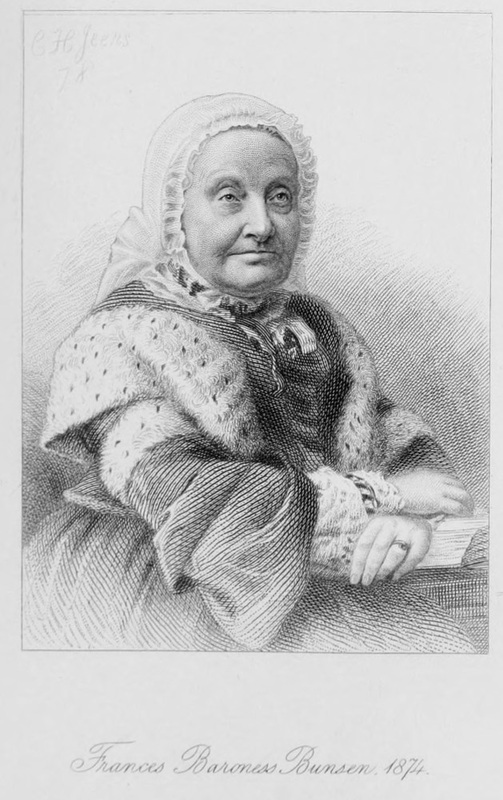 Focusing on maintaining artisan skills and the Welsh language, she helped establish an eisteddfod at Abergavenny and made available appropriate prizes. 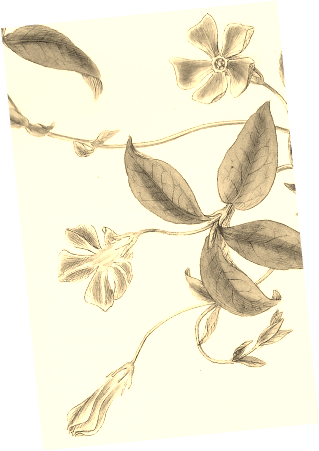 In addition to providing some fine botanical illustrations for the Weeds & Wild Flowers Charlotte Berrington was a notable linguist, as were many of the Llanover circle of relatives and friends. Sister of Benjamin Hall (Lord Llanover) she married and settled in Swansea at Woodlands Castle (later Clyne Castle). 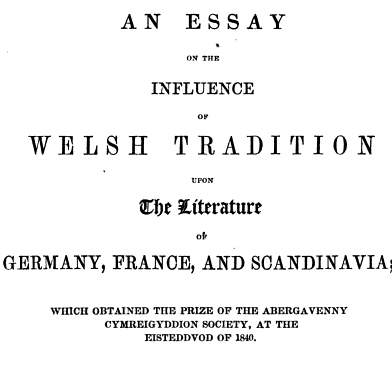 Charlotte Berrington translated a German essay (by Prof. Albert Schulz) that had won a prize from the Abergavenny Cymreigddion in 1840; a society whose activities were actively supported by her sister-in-law Lady Llanover. The prize had been judged by Bunsen (at that time 'His Excellency the Chevalier Bunsen, Prussian Minister Plenipotentiary at Bern'). An acknowledged linguist, he was also happened to be married to Lady Llanover's elder sister, Frances. Sir Benjamin Hall Bt, (1802–1867) after Frederick Yeates Hurlstone. Husband of Augusta (Lady Llanover), and brother of Charlotte Berrington. Politician and First Commission of Works he was responsible for the later stages of rebuilding the Houses of Parliament at Westminster, include the installation of the the bell 'Big Ben' allegedly named after him. Great Mullein by Charlotte Berrington. The diplomat and scholar who was to become Baron Bunsen was an active Prussian statesman, who became ambassador to the UK for nearly 20 years. He married Lady Llanover's sister in 1817. The preface of Charlotte Berrington's translation of Prof. Schulz's prize-winning essay explains that '... the Chevalier Bunsen ... was appointed to decide, gave his opinion in favour of the German composition of Professor Schulz at the same time recommending a translation. A translation is therefore now before us ... made by an anonymous author though fame gently wafted by a western breeze whispers a highly talented lady' (i.e. Charlotte Berrington). The Gentleman's Magazine, v.171, 1842. Gardiner Wilkinson and Bunsen are each closely linked by a single man. Wilkinson's sole teacher and mentor in Egyptology and the Classics was Sir William Gell, a close friend of Bunsen. (cf. Thompson p.125, p.157, p.165) It possible through the latter that Wilkinson had his entrée into Llanover Hall. Baroness Bunsen (née Frances Waddington) 1875. 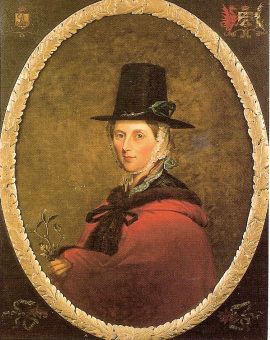 (1791–1876) Sister of Lady Llanover. Elder sister to Lady Llanover and a reputed linguist and, latterly, watercolour artist. 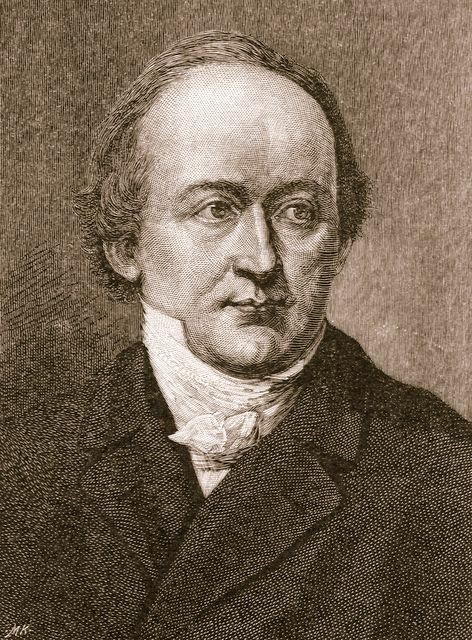 She had married Bunsen in July 1817 he became a leading diplomat in Rome and before being becoming a long-standing Prussian ambassador to Britain. 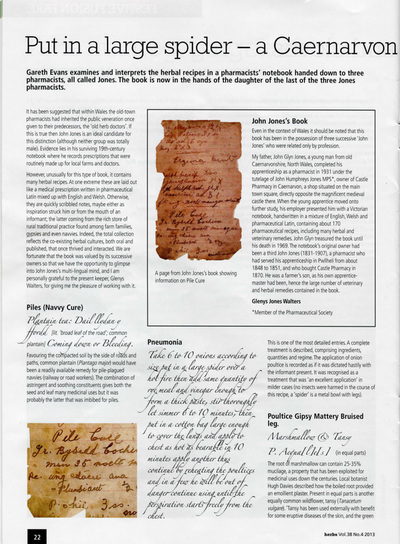 In the article I fell into common historical trap of misidentifying Jane Williams (Ysgafell) with another of the Llanover circle, Jane Williams (Aberpergwm). 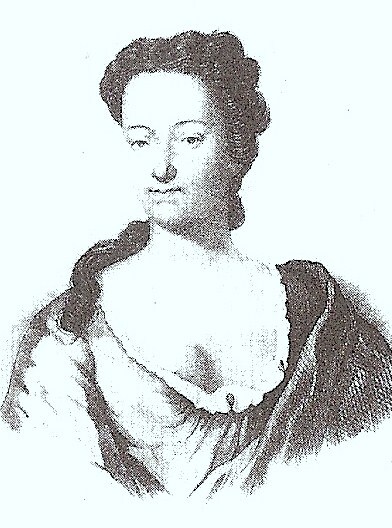 Jane Williams (Ysgafell) contributed a closing poem to Lucas' book being a 'gifted authoress and patriot'. Several of her own works are of interest today, however one, The Literary Remains of the Rev. 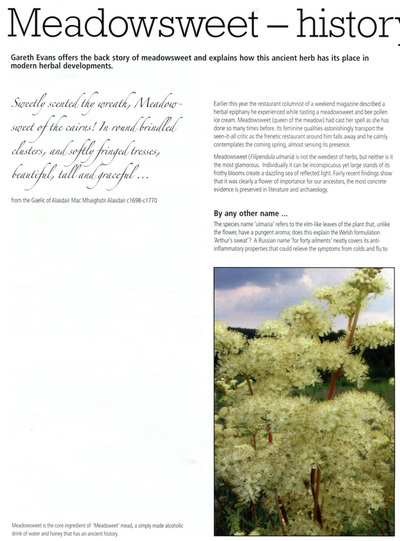 Thomas Price, Carnhuanawc, shows the same support from the 'skilful and indefatigable friends' in the Llanover intellectual circle as does Weeds and Wildflowers. These include Lady Llanover and Charlotte Berrington. Lady Wilkinson, Weeds and Wild Flowers, London 1858. R. L. T. Lucas, ‘Great Aunt Caroline’, Gower, Vol. 24, 1973. Jason Thompson, Sir Gardner Wilkinson and His Circle, University of Texas Press, 1992. Maxwell Fraser, ‘Lady Llanover and her circle’, Transactions of the Honourable Society of Cymmrodorion (1968, Part 2), p. 170-196. Ralph A. Griffiths, Clyne Castle Swansea, University College of Swansea 1977.